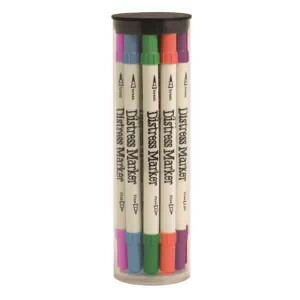 This is the RANGER-Tim Holtz Distress Marker Tube Set. 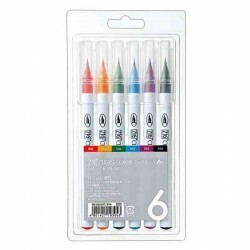 It contains 12 water-based distress markers. 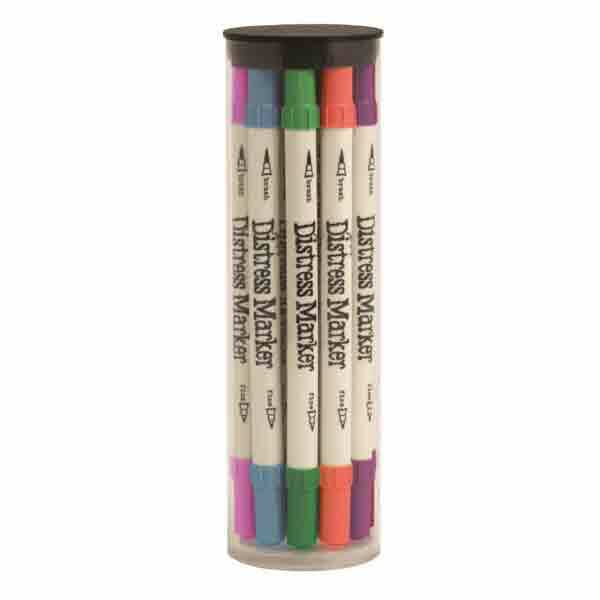 Distress Markers expand and enhance the creative horizons of paper crafters and mixed media artists. 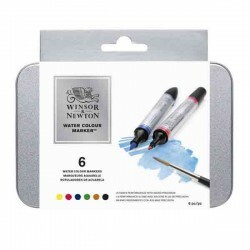 Great for journaling, stamping and more. The markers are dual ended (a brush tip and a detail tip) and are reactive with water like other Distress items. 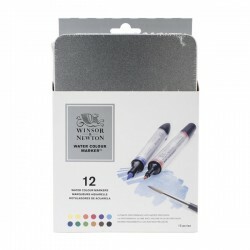 This package contains twelve dual tip markers. Colors include: Picked Raspberry, Festive Berries, Ripe Persimmon, Squeezed Lemonade, Iced Spruce, Moved Lawn, Evergreen Bough, Salty Ocean, Peacock Feathers, Shaded Lilac, Seedless Preserves and Gathered Twigs. Acid free and non-toxic. Made in USA.